Summer is on its way! Here in the lovely Craigie, Beldon and Heathridge areas the days are becoming longer, it’s getting hotter, and the summer sports are about to begin. Over at Heathridge Park, the cricket balls are being tossed about and down at Craigie Leisure Centre the pools are fast becoming the place to be. Summer time is always a big time for injuries, so here at Belridge Physiotherapy we’ve come up with a few tips to help and hopefully prevent any problems you may experience. Don’t be surprised if some of the many people kicking the footy or knocking a cricket ball around end up with muscle strains. A proper warm up is essential, even if you’re just going down with some mates. We sponsor the Ocean Ridge Junior Cricket Club, so many cricketers from Heathridge, Beldon or Craigie often find themselves here for physio treatment. Dynamic warm ups should be a staple in the training programs, especially throughout the pre-season. Any muscle strains, or muscle and tendon soreness, should be dealt with by a professional to ensure a quick recovery, so if you experience any feel free to visit us at Belridge Physiotherapy for some treatment and advice. Craigie Leisure Centre soon becomes packed with people from not only from Craigie, but from all over the northern suburbs. More swimming means more shoulder and neck problems. If you are going to be swimming down at Craigie, or even just at the beach, it is important to have good range through the neck and spine, and strong stable shoulders. 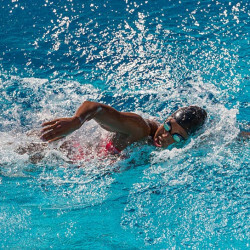 If your shoulders start to get sore with swimming you may have some dysfunction or muscle imbalance which needs to be corrected, so head over to Beldon and see us here at Belridge Physiotherapy to get pain free. Basketball and netball are also popular locally. Whether you’re playing at the outdoor courts in Heathridge, or indoors at Craigie (the air-con can only do so much! ), the increase in temperature tends to lead to an increase in joint injuries. As it gets warmer, your muscles use more energy, and as your muscles tire your joints become vulnerable. Basketball and Netball have a high incidence of both acute and gradual onset knee and ankle injuries. Acute knee injuries are obvious, but some injuries develop slowly and can take a long time to settle without treatment if at all! Tiring muscles can put too much strain on the joints and tendons. So if you’re playing sport indoors at Craigie Leisure Centre or Bouncers Joondalup and you start to notice a niggling pain in your knees or anywhere else, come see us at Belridge Physiotherapy sooner rather than later. Early intervention will save you a lot of pain and keep you doing what you enjoy! Sent to you from the friendly team at Beldon Physio, Craigie Physio and Heathridge Physio. 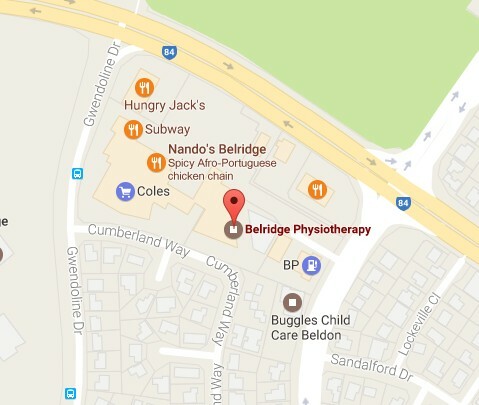 Physiotherapy go to destination for all suburbs around Belridge.